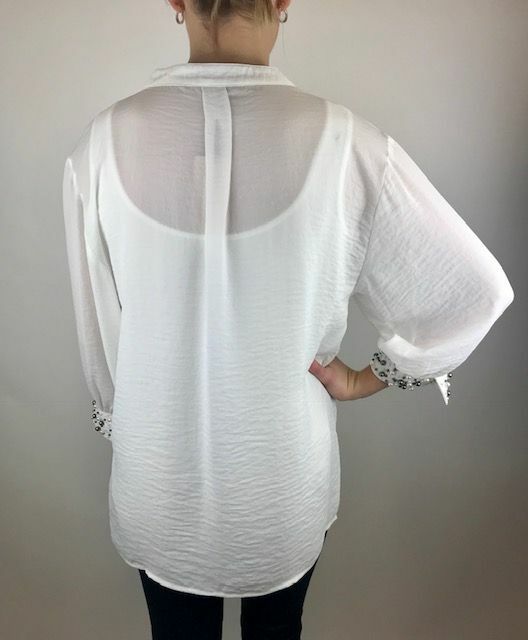 A beautiful white blouse with a loose fit and v neck with slight collar. 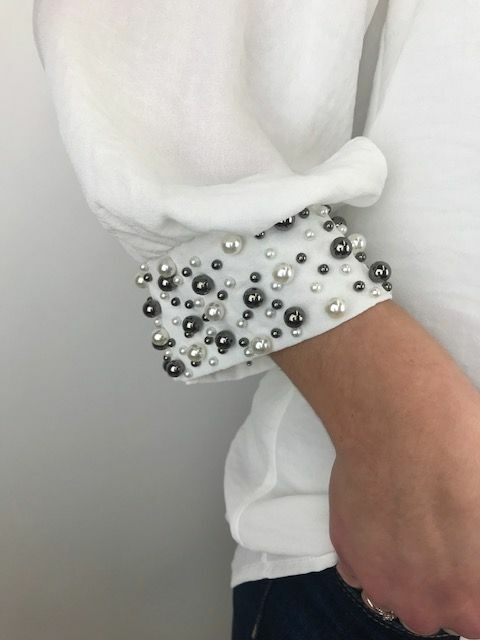 This piece has pearl adorned sleeve cuffs for a classy look. 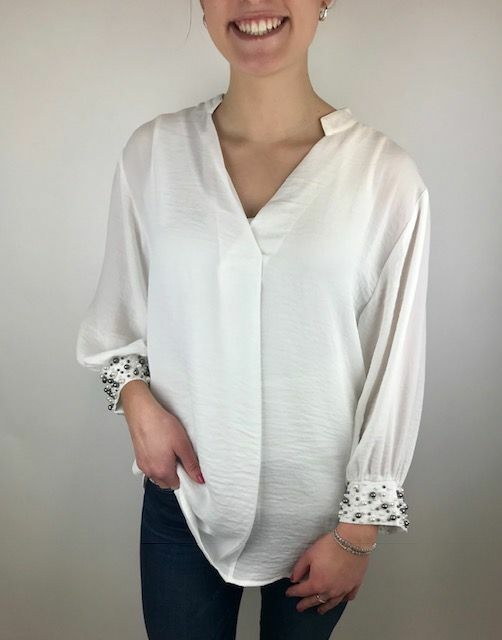 The sleeves hit about 3/4 length or above the wrist.